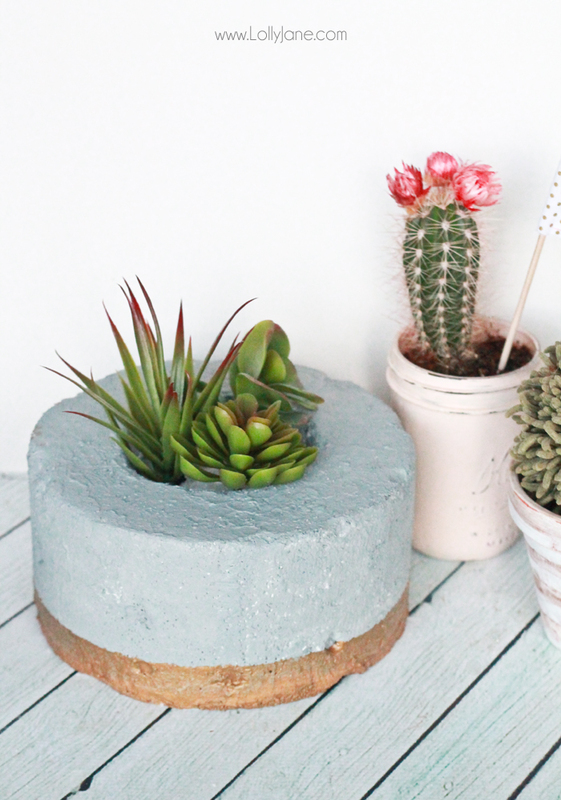 Yes you read that right, faux concrete planters… made from foam! Sweet, right?! 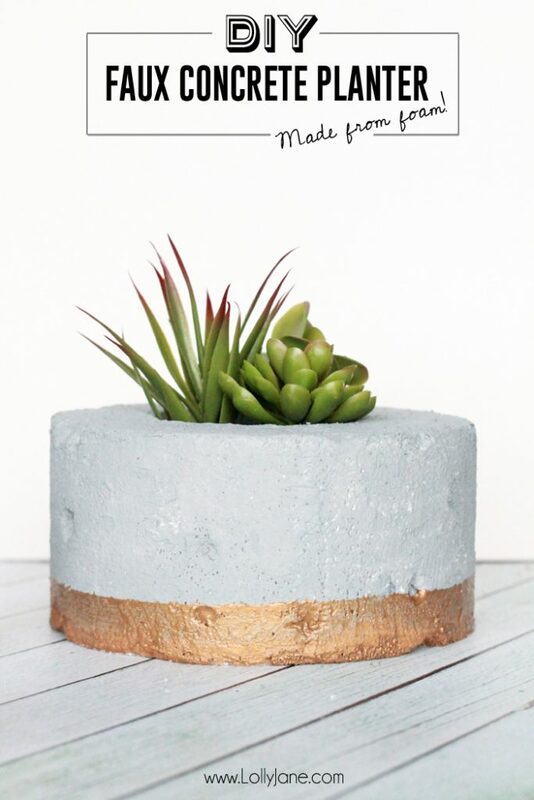 We have seen the gold-dipped concrete planter craze everywhere but mixing cement + the wait time gave me a headache just thinking about it so when the fine folks behind FloraCraft’s MakeItFun team (hi Jamie!) 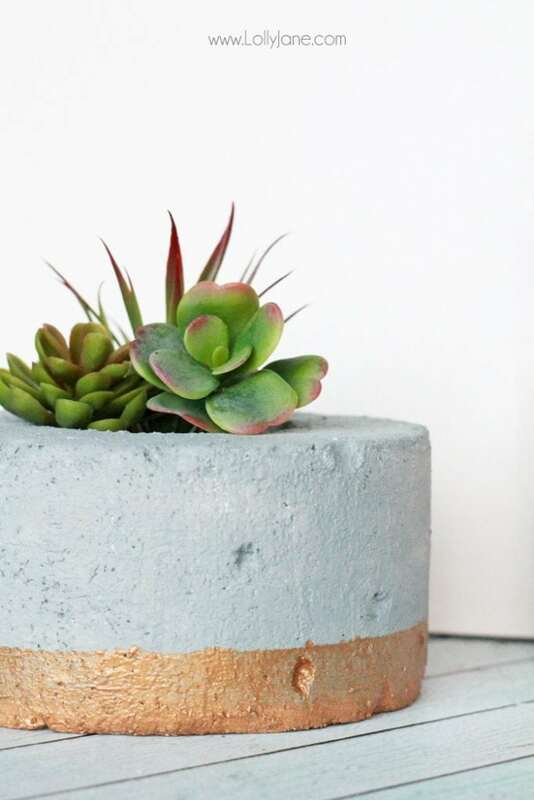 challenged us to use a cake form in a non-cake way, we immediately knew we could knock off the real deal with this DIY Gold-Dipped Faux Concrete Planter. Want to make your own? We promise it’s super easy but makes a huge statement! Using Foam cutter, carve hole about 1″ deep in the center of the StyroFoam cake form. Burrow out cement-like holes throughout form. Cover the cake form with Smooth Finish but be sure to dig out excess Smooth Finish from your newly burrowed holes. Let Smooth Finish dry for 3-4 hours or until completely hard. 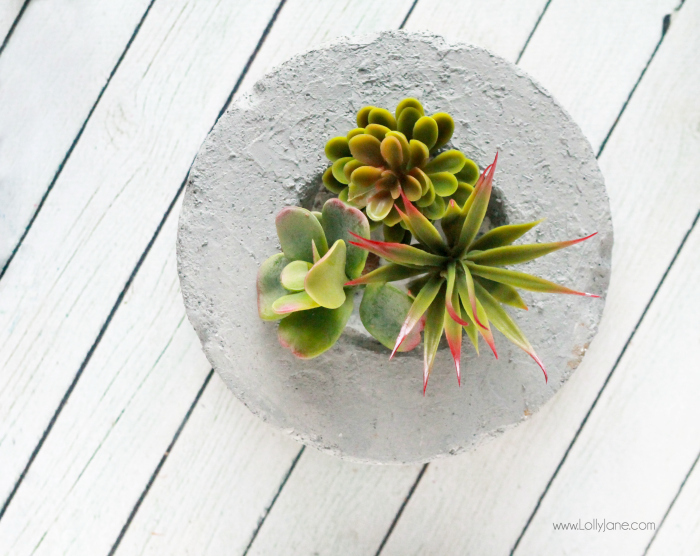 Paint a concrete-like color; I chose Dolphin from DecoArt’s multi-surface line, ensuring to coat the inside lip of the burrowed out hole where your succulents or flowers will go. If you want a gold-dipped look like ours, after gray is dry, tape off 1″ above the bottom and paint gold. 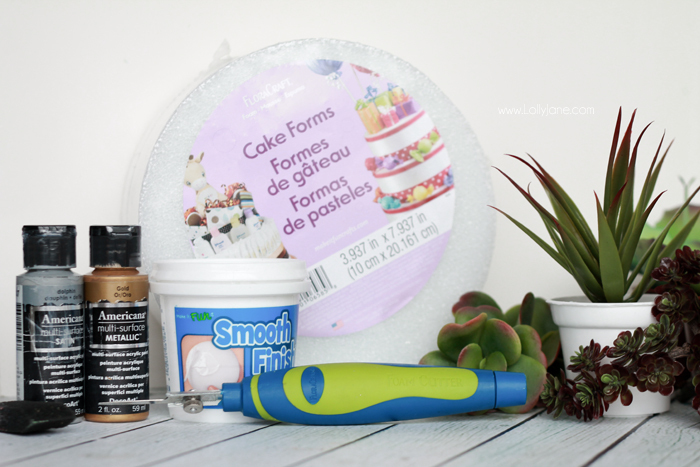 Press plastic succulent (or floral) stems through center of the cake form and display! Yay! 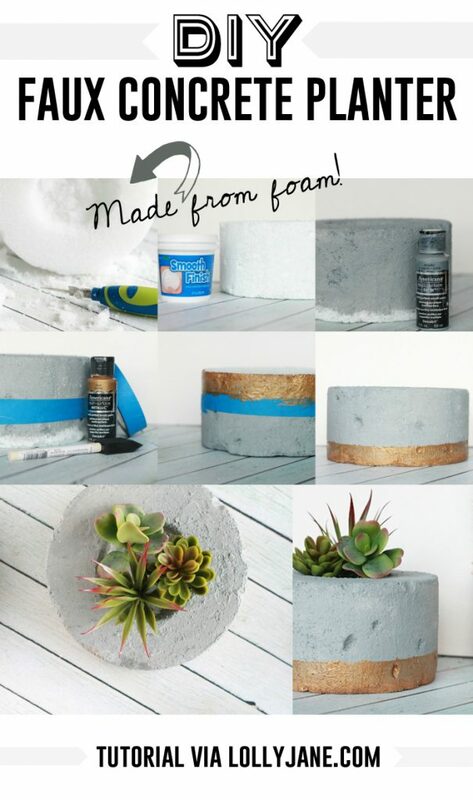 I tried to trick my nephew and had him hold this faux concrete planter and he laughed because he thought it would be heavy like concrete thanks to the porous styrofoam. 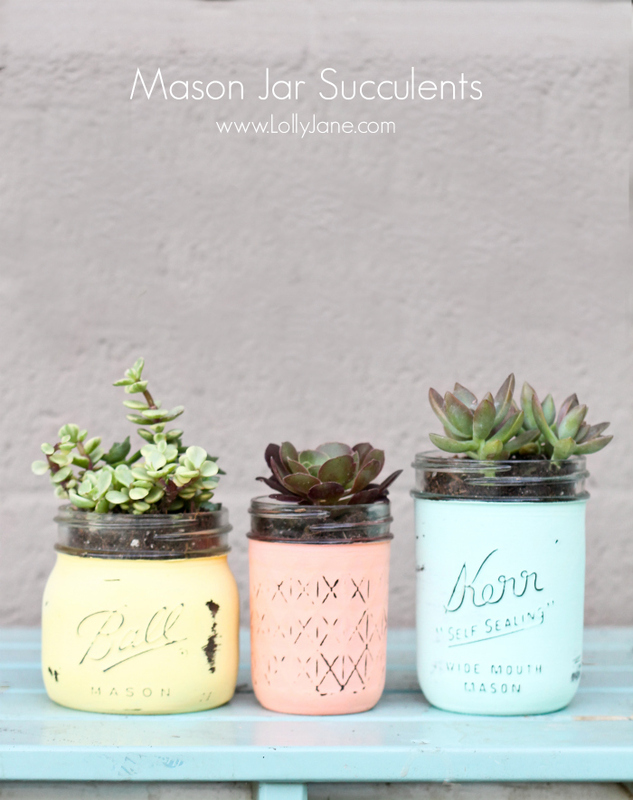 We paired ours with our mason jar cactus + striped terra cotta pots. 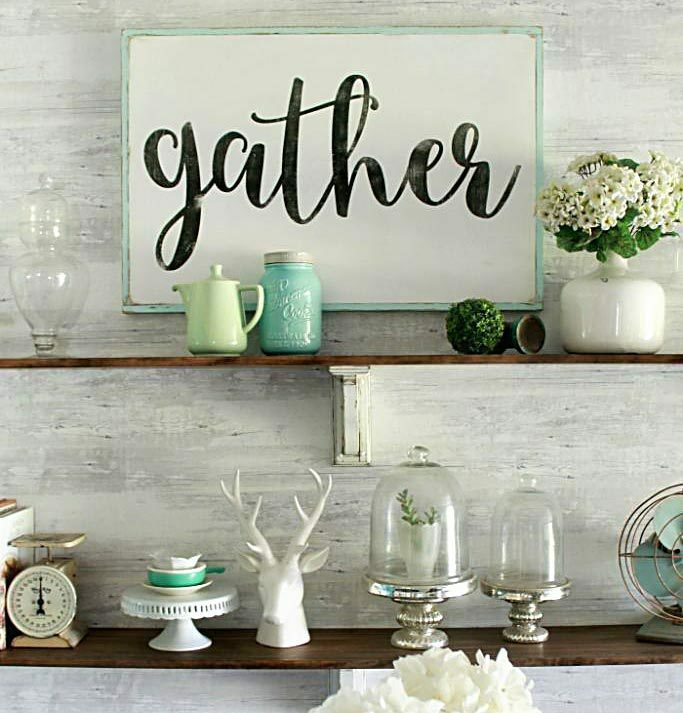 Of course these would be cute on the patio table as a centerpiece, over a window sill or on a shelf. 🙂 Happy creating! 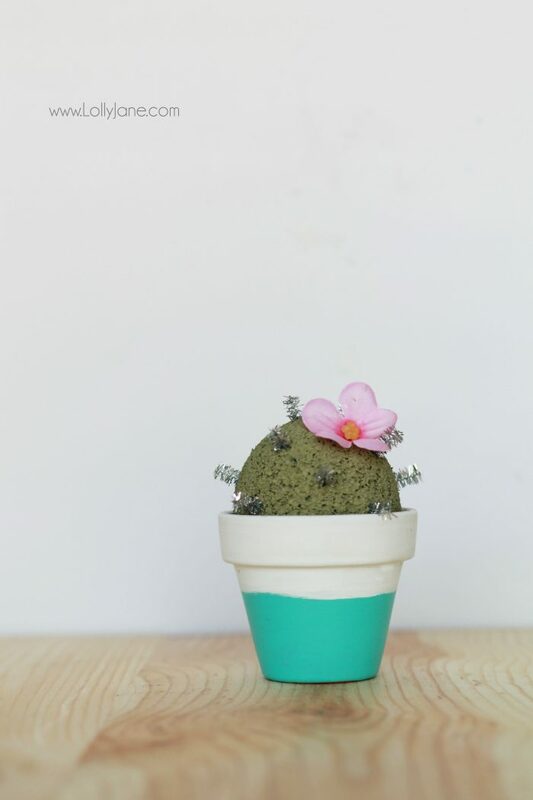 Check out more FloraCraft fun at Crafts n Coffee or gorgeous inspiration at MakeItFunCrafts. 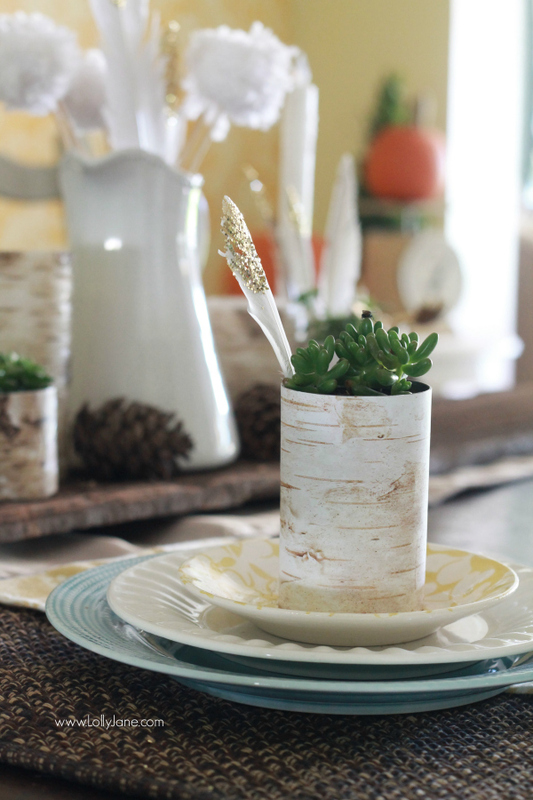 Be sure to see more of our own related projects like our Foam Cactus Garden, Mason Jar Succulents, Thrifted Gold-Dipped Stool Makeover or our Faux Birch Wood Can Planters. No way! That’s so realistic!!! 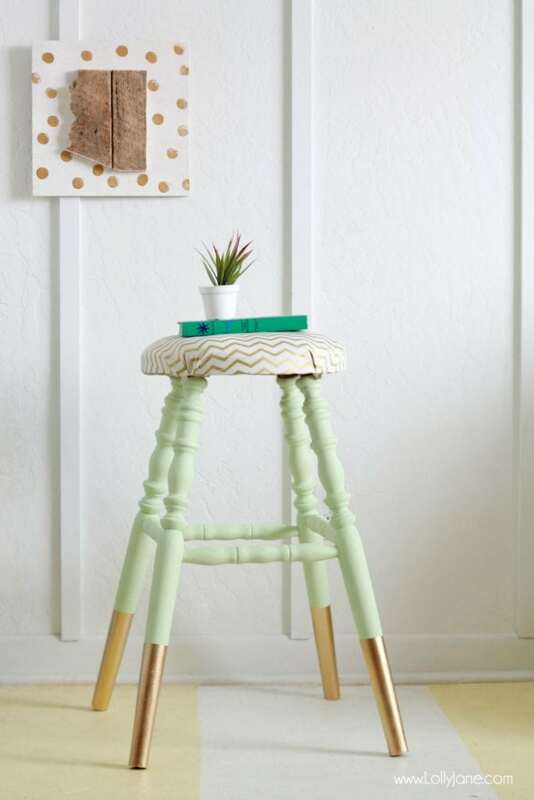 I love it, and I am just about drooling over that thrifted stool… oh and the wood can planter.. I’m dying at how much I love everything in the post! Wow, this is so crazy cool! Love this idea! Thank you. Oh girls…..love this !!! So clever and look just like concrete! Girls!! LOVE this!! SO much!